Proper Use of Credit Equals a Blissful Life! Wouldn’t it be awesome if you always had enough cash to buy whatever you wanted? Few have the liberty and liquidity to actually turn this into reality with their efficient use of credit. If used wisely, credit can alter your life in ways you can’t even imagine by allowing you to afford the lifestyle of your choice. It can fund your dream house or help you buy that dream car. You can further renovate your house as you please and spend quality time with your friends and family. The possibilities are endless, provided you make wise credit decisions. People use credit for different purposes depending on their preferences. Basically, the purpose is to fill the affordability gap, which will ultimately allow you to live a blissful life. Using credit efficiently has far-reaching benefits other than just affordability. 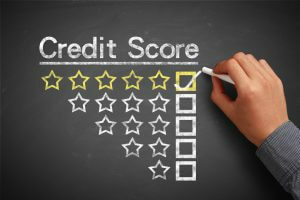 A responsible use of credit results in a positive credit history and good credit scores on your credit report. Having a good credit score means that you will automatically qualify for better insurance rates, open up mobile accounts will smaller security deposits, and will help you secure loans for your business or personal use. The responsible use of credit also shows your credibility to your employer, which eventually translates into career growth. Whether it’s a loan or a credit card, asking for credit means that a lender will look at your credit report for information about the management of your finances. Even if you want to do business with some other company, they will look at your credit report for clues, along with your bookkeeping records. Your credit report includes all of your financial history and your previous use of credit. Basically, your creditworthiness is determined by your credit report by anyone lending you a loan or looking to do business with you. Your credit history translates into credit scores which go up and down, depending on your financial decisions. Any missing payment on a loan or credit card will result in deductions from your credit scores, while making timely payments will improve your scores. The scores are the precise measure of your likelihood of paying back a loan. Therefore, lenders rely on them heavily. There are certain types of credits that are revolving, such as credit card payments, and there is no fixed end date for repayment. A credit limit is set for the use of credit and you can borrow up to that limit and then pay part of it back every month. There is a certain interest rate that has to be paid along with the payments, which is accrued each month. Because of the fact that all of your financial decisions are converted into scores, all types of credit impact them. Making responsible financial decisions in the early stages of your life will have fruitful consequences in your future. Don’t waste credit on things you can live without and always pay off your debt in time. Once you build up a solid credit history, you will have plenty of opportunities to do what you desire. To ensure that your use of credit is handled responsibly, review your credit reports and scores regularly. Keeping track of your report will allow you to make informed decisions about your financial life. Here are some ways to build up your credit. Paying off all of your utility bills and other similar payments on time each month can significantly amplify your creditworthiness. Set up automatic payments for these type of payments so that you don’t miss them. Ensure that your credit card debts and other revolving loans are regularly paid off. Keeping low credit card balances is always a good idea because unsecured credits are always more expensive than the secured ones. Pay attention to the use of credit for all types of credit. This shows the lender that you are able to manage different credit types efficiently, therefore, creating a responsible image. A smart use of credit will elevate the standard of your life in all possible ways and taking steps to improve your credit only leads to improving the quality of your life. https://www.completecontroller.com/wp-content/uploads/cclogo_main-long-300x63.png 0 0 Complete Controller https://www.completecontroller.com/wp-content/uploads/cclogo_main-long-300x63.png Complete Controller2018-04-06 10:08:322018-04-09 10:08:58Proper Use of Credit Equals a Blissful Life!